Filmora - Top video editing software for beginners? Video editing and publishing has become a noticeable trend these days, thanks to the popularity of video content sharing platforms, such as YouTube. If you’re thinking about starting your own YouTube channel, chances are that you’ve already heard about pro-level editing tools like Final Cut Pro or Adobe Premiere Pro. These tools are built for high precision video editing and are used by video professionals all around the world. But are they the right choice for a beginner? As a beginner, you might be looking for cost effective video editors that are also easy to use. And though professional tools like Final Cut Pro and Adobe Premiere Pro provide a lot of high precision features, not all of them are beginner-friendly, as they usually accompany steep learning curve. Fortunately, there are a few video editing apps that provide a fair set of features, are easy to use, and are also available at compelling price points. 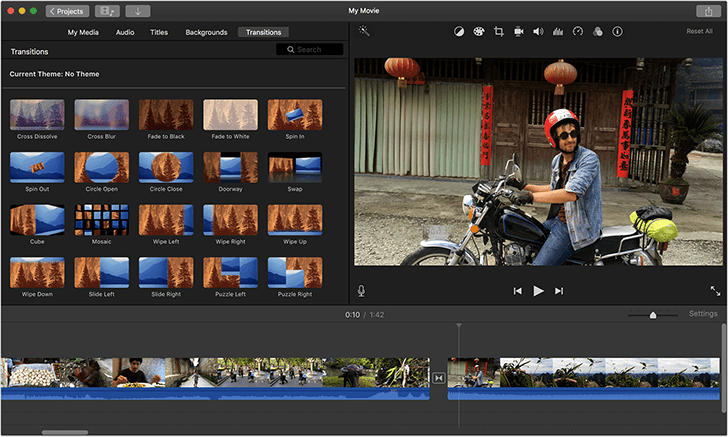 For instance, if you are a Mac user, Apple’s in-house video editing app, iMovie, offers a decent set of tools and features to help you get started with professional quality video editing. iMovie can be downloaded for free from the Mac App Store. Yet, there are certain situations where iMovie might not be your go-to video editing app. For one, iMovie’s support for video input and output formats are fairly limited to iTunes compatible formats. If you work with a variety of formats, you might want to consider an alternative option. Moreover, iMovie is only available for macOS and iOS platforms. So if you’re a Windows user, iMovie isn’t for you. Alternatively, a few other cross platform video editing apps are also available, which strike a good balance between cost, features and the ease of use. Wondershare Filmora is one such app. Filmora is a video editing software available for both Windows and Mac, which gives you a taste of professional movie making, without requiring you to go through all the technicalities of the job. Its user interface is easy to familiarize with, and a set of predefined templates for adding titles/credits, transitions, overlays, music, filters and other elements (collectively called Effects) enable you to create professional-looking videos in minutes. 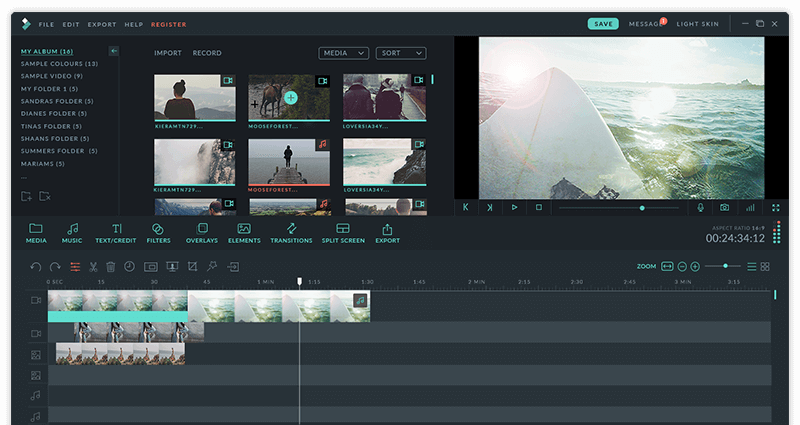 As with other video editing software, Wondershare Filmora provides a timeline view where you can drop various elements of your movie and play around with them. You can create your own movie effects, or use the various Effects packs available on the Filmora Store. Some of these Effects packs can be downloaded and used for free, but there are also premium effects available, for which you need an Effects Store subscription. Filmora supports importing as well as exporting a wide range of audio and video formats, so you get a better flexibility here compared to iMovie. Also, Filmora includes support for creating 360 videos and multi-camera videos, which iMovie doesn’t. So, if you have to work with these type of videos, you might prefer Filmora over iMovie, even if you have a Mac. 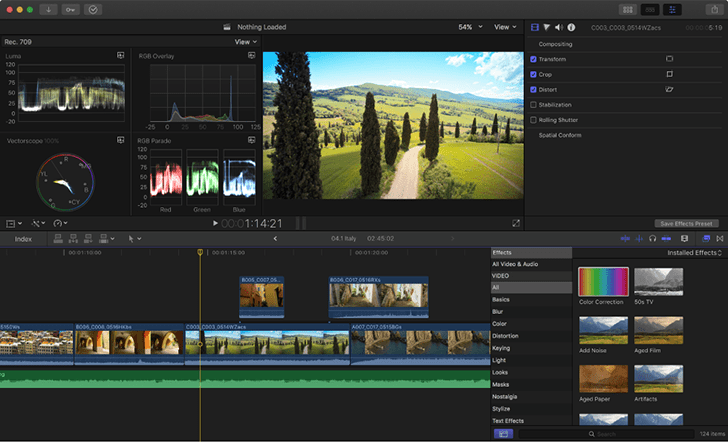 In terms of software features and precision controls, both Final Cut Pro and Adobe Premiere Pro might be ahead of Wondershare Filmora or iMovie. But along with better features and precision controls offered in these two pro-level tools, there is also the added complexity and a learning curve associated with it. Moreover, price and platform support are other important factors to be considered here. Final Cut Pro is a macOS-only software that costs $299.99 for a single lifetime license. On the other hand, Adobe Premiere Pro is a cloud based app, which follows a subscription model starting at $20.99 a month. If you are a professional in the video editing industry, chances are that you’re already familiar with the features and usability of professional video editing tools. And maybe, you also have your own favorite tool that you like to work with. For a beginner, though, the steep learning curve and high cost might be too much of a commitment. Wondershare Filmora can be downloaded and used for free with all its features, but the final exported movie contains a watermark, and you get no additional tech support. A one-time fee of $59.99 (Individual license) removes these limitations. An Effects Store subscription gives you unlimited access to all the predefined effects (premium and free) that you can add to your movie. This subscription is separately available at $9.99 per month for an individual. All the video editing tools mentioned in this article also provide a free trial. So, if you’re still not sure which video editing tool would be most convenient for you, you can try all of them and then decide for yourself. Do you think we missed any other video editing applications that’s worth mentioning here? Let us know in the comments below.